The Honda BR-V looks like a mini SUV or more of a subcompact crossover SUV. It has been manufactured by Honda since 2015. This vehicle shares a platform with the Mobilio MPV, which is based on an extended Brio and Amaze platform. 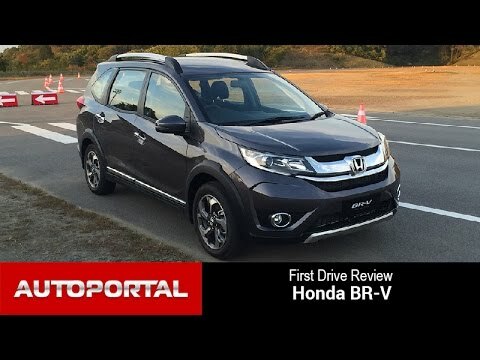 From a famous Japanese vehicle distributor and manufacturer, Honda truly made a variety of amazing SUV models, and one of them is known as the Honda BRV. The Honda BRV had some remodeled exteriors efficiently with sharpness. It is a seven-seater vehicle that is a perfect choice of vehicle in the Philippines. It has a competitive pricing, functionality, and versatility. The Honda BR-V sits below the HR-V and is sold widely in Indonesia, Thailand, Pakistan, India, Malaysia, Mexico, and the Philippines. The Honda BR-V is available in four variants: 1.5 S CVT, V Navi CVT, S CVT Modulo, and the 1.5 V Navi CVT Modulo. The Modulo variants are can easily be distinguished from the regular BR-Vs through the sporty body kits fitted to the vehicle. These Modulo variants look quite the same with the regular Honda BR-Vs plus the sporty body kits. All of the four variants are equipped with a 1.5-liter SOHC i-VTEC gasoline engine. It delivers 118 hp and 145 Nm of torque. The engine is also connected to the CVT or also known as the Continuously Variable Transmission. The Honda BR-V S CVT measures 4,453 mm long while the V Navi CVT is at 4,456 mm. All of the Honda BR-V variants have similar width, height, and wheelbase. It measures at 1,735 mm, 1,665 mm, and 2,662 mm, respectively. The Honda BR-V has a ground clearance of 201 mm, this is a good number which will give passengers peace of mind when driving through unpaved roads. For the Honda BR-V exterior look, it is like a masculine type of car. It has good cuts, that surely gives that bolder look on the vehicle. It has more muscle looking cuts, sharper character lines, and a more composed stance if you are to compare it to the Mobilio. When it comes with the top-of-the-line variant of the Honda BR-V, it is fitted with LED headlights, fog lights, and good chrome-plated door handles. For the front and rear bumpers, It both comes with a bumper skid garnish. The Honda BR-Vs interior features a black theme along with splashes of silver accents. The vehicles layout is decent, simple, and straightforward. For the base variant of the Honda BR-V, it has all the essential features that will make you think that it's not an entry-level variant. It has a good touchscreen infotainment system that includes Bluetooth and USB connectivity. This is quite impressive since not all base variant offers this kind of system. On the other hand, The top variant features a touchscreen infotainment plus Navigation feature. This is the thing that separates this variant from the base model. But, since there are good navigation applications that you can easily download for free on your smartphones to use, applications such as Waze, Polaris, Google Maps, Maverick, and more. These said applications can very much be of help to be used in the car if there is no navigation feature added on the infotainment system. So this is not really a good feature to boast about from having the top variant versus the base variant. It has a 2+3+2 seat configuration. For the base model, it comes with standard fabric seats. The top variant has leather seats. For the seat material, it is designed accordingly to the variant model. So if you are not into leather but wants to have the top variant model, maybe you will be needed to have customized seat covers to use, and vice versa. For the vehicles second-row seats, It has a sliding and reclining feature. It has a 60:40 split. The Ingress and egress from the third-row is surely not a big problem due Honda BR-V's one-touch, fold-to-tumble second-row seats. The Honda BR-V's cargo space consumes a good rate at 223 liters. It will definitely increase to 470 liters after folding the third-row seats of the vehicle. That is quite a good cargo space to fit any plastic boxes, coolers, water containers, and any large cargo for transport. For the seating capacity of the Honda BR-V, it can fit three average-sized Filipino adults in the second-row area of the vehicle. But when it comes with the third-row seat, this could be a bit of a problem. The head, leg, and elbow room are quite tight in this section. But generally, can still fit two adults, but the ride may not be that comfortable. When it comes to the safety feature of the Honda BR-V, it is packed with all the essential features. Both of the driver and front passenger has airbags, it includes the anti-lock brake system (ABS), electronic brake-force distribution (EBD), vehicle stability assist (VSA), and hill start assist (HAS). 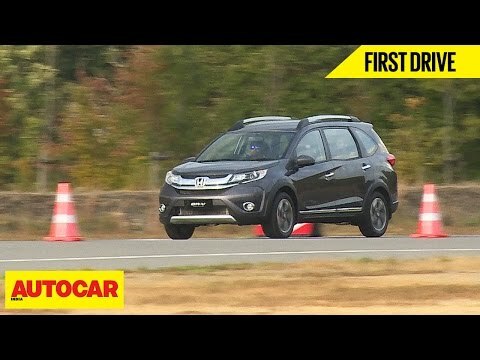 This is offered to both variants of the Honda BR-V. This also even includes a child seat anchor called ISOFIX which is indeed a baby-friendly vehicle. The Honda BR-V is available in 6 different colors - Crystal Black Pearl, White Orchid Pearl, Modern Steel Metallic, Taffeta White, Lunar Silver Metallic and Premium Amber Metallic. What Makes This Stand Out From The Rest? Sino maglalakad ng rehistro kapag bumili ako? Kung second hand, ako pa din ba maglalakad ng change of ownership? Honda CR-V comes with two variants of engine; one with 1997cc of displacement and another with 2354cc of displacement.